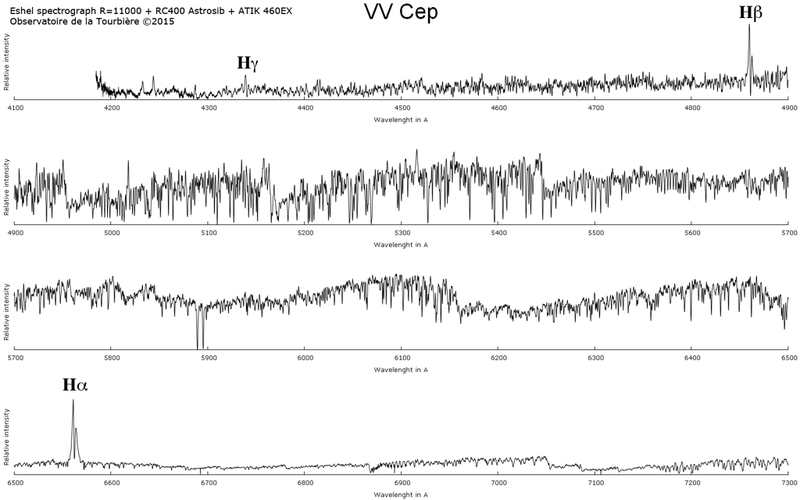 here is an eShel spectrum of VV Cep taken with an eShel on a C11 telescope. This kind of presentation was found in Munari & Zwitter 2002 (arXiv:astro-ph/0202274v1) - I liked it! I did also VV Cep with my eshel spectrograph.